Mental Health Europe,1 has put together this position paper on Article 12 of the United Nations Convention on the Rights of Persons with Disabilities (UN CRPD) to provide guidance to stakeholders, such as European States and the EU, on what legal capacity means to the lives of persons with psychosocial disabilities and how they can be supported to make decisions for themselves. Being denied legal capacity can mean being denied the right to make decisions in many aspects of life and as a result can negatively impact on a whole host of civil, political, economic, social and cultural rights. We outline key principles and criteria laid out in Article 12 and the General Comment of the Committee on the Rights of Persons with Disabilities (the Committee) on this issue including the need to move away from substitute decision-making on the basis of ‘best interest’ assessments, to supported decision-making which respects the ‘will and preferences’ of the person needing support. We also focus on specific forms of substitute decision-making which are disproportionately applied to persons with psychosocial disabilities such as forced placement in psychiatric units and hospitals and forced treatment which we believe are currently overused in many European States. These coercive measures can be traumatising and we recommend that States repeal their mental health laws and abolish the use of such measures. In their stead, we recommend the immediate investment in and development of viable alternatives and the provision of human rights training for professionals and users in order to ensure that mental health systems are consensual and free from the use of coercion. We are now celebrating the tenth anniversary of the adoption of the Convention, however ten years on MHE notes that the shift towards supported decision-making has been slow and uneven, and that the EU has taken a backseat on this important issue. We hope that this position paper, which focuses on the barriers faced by persons with psychosocial disabilities, will inspire change and help Member States and the EU to understand what supported decision-making for persons with psychosocial disabilities can and should look like. Urges those European States that have not yet done so to begin reforming their capacity laws as well as other laws which are connected to the exercise of legal capacity (ie voting, family, mental health and banking laws), and move towards the creation of systems and mental health services which maintain the legal capacity of all persons with disabilities and develop supported rather than substitute decision-making regimes. Urges mental health professional groups to consider how they can contribute to the immediate reduction and eventual eradication of the use of coercion in mental health services including by ensuring that ethical guidelines on informed consent are updated and brought in line with the UN CRPD. Urges European States to immediately develop and provide real alternatives (like those outlined in this paper) to forced placement and treatment. Recommends that European States collect disaggregated data, with the support of Eurostat, on guardianship, trusteeship and the use of forced placement and treatment including the number of times these measures are used and the reasons why. Recommends that reforms in this area should be carried out with the meaningful participation of person with psychosocial disabilities, in line with Art 4.3 of the Convention, and accompanied by training for mental health care users and all professionals who might need it including social workers, health and legal professionals and law enforcement officials. Many of us take for granted that we are autonomous and have the right to make our own choices. We don’t realise that the ability to make those choices is essential to living a full life in the community in which we can exercise our human rights. One of the most important principles underlying the UN CRPD is autonomy. From a human rights perspective, legal capacity – the right to make choices and be recognised before the law – is the key to ensuring autonomy and inclusion for persons with disabilities, and that they can enjoy their rights. However, almost ten years on from the adoption of the UN CRPD, the lived reality for many persons with disabilities, particularly those with psychosocial and intellectual disabilities, is that they are denied the right to make their own choices on the basis of their disability. Guardianship regimes are still the norm throughout Europe;2 these systems strip persons with disabilities of the right to choose and to make mistakes on an equal basis with others, and empower other people to make choices on their behalf. There is a direct link between exclusion of persons with disabilities from society and denying them their autonomy. The UN CRPD – which has been ratified by all but one Member States of the European Union, a majority of the Council of Europe and the EU itself- obligates States Parties to move away from substitute decision-making regimes, like guardianship or trusteeship, and instead to support persons with disabilities to exercise their right to make choices for themselves. As we celebrate the tenth anniversary of the UN CRPD, MHE is concerned that the shift towards providing supported-decision making has been slow with many European States failing to move towards real reform. This position paper urges Member States and the EU to take action, identifies criteria for UN CRPD compliant supported decision-making and outlines some promising models of supported decision-making specifically for persons with psychosocial disabilities. Legal capacity and mental capacity – what’s the difference? Article 12 of the UN CRPD states that States Parties ‘shall recognize that persons with disabilities enjoy legal capacity on an equal basis with others in all aspects of life’. In 2014, following calls from Member States for clarification on Article 12, the Committee made it clear in its very first authoritative General Comment3 on legal capacity that mental capacity and legal capacity are different and distinct but often conflated concepts. Legal capacity, according to Article 12, is an inherent right owed to everyone whereas mental capacity relates to a person’s decision-making skills which varies from person to person and can often be subjective depending on how it is measured. The Committee pointed out that people with psychosocial disabilities are often denied legal capacity on the basis of a perceived or actual problem with their mental capacity or on the basis of their disability alone. the ability to enter into contracts which hampers the right to work and even the ability to open a bank account (Article 12.5 and 27). In their General Comment on Article 12, the Committee stressed the importance of respecting the will and preferences of the person who needs support. The Committee noted that this key requirement is vital to ensuring a move away from the paternalism often displayed by ‘best interests’ assessments and the substituted decisions made on the basis of these assessments. Historically this approach has infantilised persons with disabilities and contributed to the paternalistic way in which they were treated which resulted, among other things, in mass institutionalisation and loss of autonomy. MHE believes that people who have problems with their ability to make decisions should be supported to make decisions based on their will and preferences in line with Article 12. According to Articles 14, 17 and 25 of the UN CRPD, persons with disabilities are entitled to their liberty, physical and mental integrity, and to freely consent to healthcare on an equal basis with others. However mental health laws, as well as other public health laws, across Europe allow for persons with psychosocial disabilities to be placed in psychiatric hospitals and to be restrained and treated against their will.4 The Committee has recommended that States, time and again, repeal legislation allowing for forced placement and treatment of persons with psychosocial disabilities.5 However, in their General Comment on legal capacity, the Committee has clarified that forced placement and treatment are also to be considered as violations of Article 12. The General Comment classified mental health laws, which allow for forced treatment, as discriminatory substitute decision-making regimes and notes that detention of persons with disabilities in institutions either without their consent or the consent of a substitute decision-maker is a violation of Articles 12 and 14. Misconceptions about people with psychosocial disabilities and their treatment which are propagated by society as well as many mental health professionals has led to a situation where it is the norm, rather than the exception, in many psychiatric hospitals to compel persons with psychosocial disabilities to take a treatment. In some countries, they can be compelled to take treatment while living in the community.8 In addition to the above argumentation from the Committee, it is important to note that many of these forced treatments are based on a contested biomedical approach9 to psychiatry, and there is much debate within mental health services as to the validity of this model and the efficacy of psychotropic drugs. In MHE’s view, the biomedical model can reduce persons with psychosocial disabilities to ‘disorders’.10 This reductive approach can put in question the personhood and autonomy of persons with psychosocial disabilities, which in turn has a direct link to institutionalisation, and therefore to forced treatment. Indeed, despite the significant decrease of psychiatric hospital beds in Europe since the 1970s, many European countries still have more people living in institutional or long-term hospital settings than in the community as a result of a lack of community-based services coupled with the existence of guardianship regimes and misuse of mental health laws.11 We can therefore see psychiatric services where the denial of legal capacity in terms of treatment is inbuilt into the system. Furthermore, the overuse of coercive measures occurs in spite of the existence of safeguards in a majority of European mental health legislation which require that such measures are only used as a measure of last resort when there are no other less restrictive alternatives.12 At MHE we believe that persons with mental health problems and psychosocial disabilities are experts on their own experiences and must play a vital role in their own care. Mental health as well as guardianship laws and the way in which they are currently abused deny this reality and have contributed to a power imbalance within the relationship between users of mental health services and their physicians. In light of the above, MHE is in favour of all mental health services and legislation moving towards totally consensual practices which are free from coercion and substitute decision-making in line with the UN CRPD. It is important to recall that despite societal misconceptions; evidence shows that people with mental health problems are not more likely to be violent than other people and in fact they are more likely to be victims of violence. However, sometimes people in mental healthcare services do exhibit violent behaviour or behaviour which may be perceived as violent just like people without psychosocial disabilities sometimes do and this is usually because of the way they are treated with force. What MHE does not want is a situation where individuals requiring more acute care are instead funnelled into the criminal justice system. There are helpful practices which can assist mental health professionals to de-escalate situations as well as help police and staff to recognise a genuine situation of danger versus a situation where a person with a psychosocial disability is in crisis. For example, one emerging practice which could be hugely beneficial is the development of 24/7 crisis intervention teams within the police but which have specially trained police working with mental health professionals and peers to recognise and respond to individuals who are experiencing a mental health crisis. Furthermore, MHE is aware that many professionals and services users alike cannot imagine services which do not use forced placement and treatment but there is hope. There are effective alternatives (Open Dialogue, Soteria), which will be outlined below, that can help to reduce the use of hospitalisation, both forced and voluntary, and forced treatment by helping to maintain the right of persons with psychosocial disabilities to make their own choices with the help of therapeutic support networks. Having said this, we still need to search for alternatives which can deal with even the most severe cases where people are in crisis and put in place policies which will help European mental health systems move towards adopting policies and laws which ensure that services are consensual and maintain people’s autonomy, respect their legal capacity and support them to make decisions for themselves. Mental health professionals also have a role to play, and in cases where they are business owners a responsibility,14 in ensuring that they are not complicit in services and systems which infringe on people’s human rights. We therefore urge mental health professionals and their representative groups at regional and national levels to consider how they can contribute to the immediate reduction and eventual eradication of the use of coercion in mental health services including through self-regulation and by ensuring that ethical guidelines on informed consent are updated and brought in line with the UN CRPD. 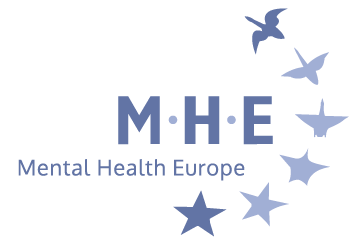 MHE is calling for European States to reform their mental health laws and policies to ensure that they do not allow for forced placement and treatment on the basis of disability in line with the UN CRPD. We recommend that States invest in mental health services to ensure that they are free from coercion, including by developing alternatives and requiring human rights training for mental health professionals, as well as create mental health crisis intervention teams within the police. What does real support look like? The Committee also gave more information about what forms supported decision-making can take and noted that such support could be formal and informal. They gave the following examples: the choosing of a support person by the person requiring support in the exercise of their legal capacity,the provision by banks of information in understandable formats which enable persons with disabilities to open accounts, enter into contracts or conduct transactions, advanced planning which can be particularly helpful for persons with psychosocial disabilities who may experience crisis situations and whose doctors, family member and friends could benefit from pre-prepared guidance which outlines their will and preferences. MHE urges those European States, particularly those with plenary guardianship regimes, that have not yet done so to begin reforming their capacity laws as well as other laws which are connected to the exercise of legal capacity (ie voting, family, mental health and banking laws), and move towards the creation of systems which maintain the legal capacity of all persons with disabilities and develop supported rather than substitute decision-making regimes. European States should also collect disaggregated data on guardianship, trusteeship and the use of forced placement and treatment including the number times these measures are used and the reasons why. Furthermore, reforms in this area should be carried out with the meaningful participation of person with psychosocial disabilities, in line with Art 4.3 of the Convention, as well as accompanied by training for all professionals who might need it including social workers, health and legal professionals, and law enforcement officials. MHE hopes that the examples set forth below of promising legislation and supported-decision making will help Member States who are considering reform. Limited competency -what can the EU do? Apart from occasionally giving space to discuss legal capacity at the Disability High Level Group and other disability specific events, and funding some NGOs who work on the area, including MHE, we are not aware of how the Commission or the EU more generally are exercising their competency on legal capacity. Although MHE is appreciative of the support we receive from the Commission, we believe that the Commission should use its own voice as well as its leadership role to promote the shift towards supported decision-making including by adding a specific action point on autonomy to the Disability Strategy, following its midterm review which is currently underway, and accompanying it with specific action points on legal capacity.21 For example, the Commission could support the establishment of cross-national training programmes to educate the judiciary and medical professionals across Europe and financially support joint actions which could help Member States who are interested in implementing good practices on supported decision-making for people with psychosocial disabilities. The Commission could also encourage Member States to finance the work being done in this area by national NGOs and particularly service user organisations whose members are directly concerned by these issues. In 2015, a new Bill was proposed by the Bulgarian Ministry of Justice to replace the existing guardianship law in order to align Bulgarian legislation with the UN CRPD. The Bill, if adopted, would establish various measures of support and protection which will enable adult persons with psychosocial or intellectual disabilities to exercise their basic human rights in accordance with their will and preferences.23 According to the Bill, any person is entitled to receive appropriate support from a supported decision-making body which must be registered and officially appointed by the Mayor of the Municipality in line with the ‘wishes and preferences’ of the person requiring support. A contract is then drafted between the support person and the person who needs support and they can also create a form of ‘advanced planning’ called a ‘preliminary declaration’. In Andalusia, the Human Rights and Mental Health Group has developed a guide on Advanced Care Planning in Mental Health (ACP-MH), 25 designed using co-production between mental health care users and professionals in line with the UN CRPD. The guide is addressed to people interested in the process and to mental health service professionals. According to the Law 41/2002 on Patient Autonomy,26 professionals are legally bound to respect the directives for end-of-life care and, according to some jurists, mental health care.27 This model of Advanced Care Planning enables people to record their will and preferences in advance,28 this is then included in the medical record of the person and made accessible to all healthcare professionals in order to influence the health care provided in case they may face temporary inability to make decisions (ie crisis situations). The process and its application are at an early stage and the first objective is to train and sensitise professionals and users of the service with regards to the patient’s autonomy, their right to make their own decisions and the notion of will and preferences in line with article 12 of the UN CRPD. The ultimate objective is to ensure full respect of legal capacity and the right of choice in relation to healthcare through the application of the advanced directives by the professionals as well as to establish safeguards to protect the person and prevent abuses such as undue influence. The Personal Ombudsman (PO) System was developed in Sweden and grew out of the psychiatric reform which took place in 1995. 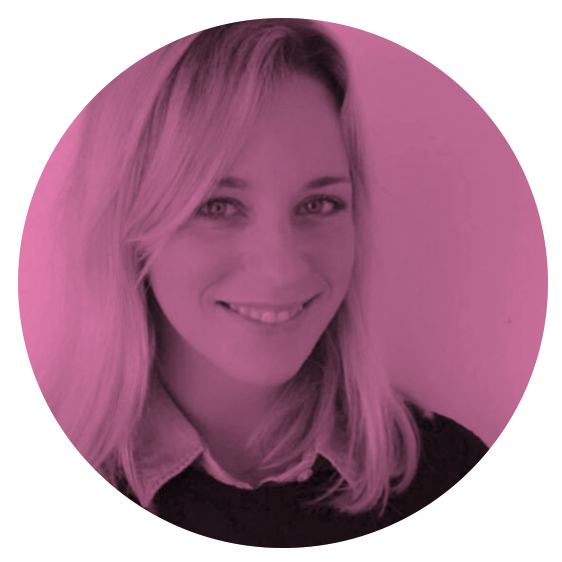 Under the scheme, a PO is defined as a highly skilled person who works on the commission of a person needing mental support services for a long period and is bound by a contract. The PO helps his/her client with a wide range of issues, ranging from family-matters to housing, accessing services or employment. The support is flexible and fully adapted to the person’s will and preferences, as no action is taken without the agreement of the client. This model has been designed for people with psychosocial disabilities who are potentially quite isolated and as a result would be ideal for those persons mentioned in the General Comment who do not have naturally occurring support networks in their communities including those who have been institutionalised for many years, have lost contact with their family or friends or have been excluded from the community for long periods of their life.29 The support can be stopped at any time at the request of the person needing support. This model enables persons with psychosocial disabilities to retain their legal capacity, make decisions and enjoy their life thanks to the support they receive and the trusted relationship they create with their PO. In addition, a five-year Government evaluation of the programme has shown that savings on traditional mental health care services increased each year with for one Euro invested, 17 Euros saved after five years. The Circle of Friends is a practice which gathers a group of trusted people, usually family and friends, chosen by the person requiring support who meet regularly in order to support a person to accomplish their personal goals in life.30 These goals are chosen by the person themselves and can include goals like finding a job or a place to live. This type of support network was first developed in Canada in order to empower persons with disabilities to evolve as well as to reinforce their independence. It ensures that the person will be able to make decisions for themselves and will be able to seek counsel if they wish to. Although not specifically designed for persons with psychosocial disabilities, this model, in MHE’s view, is a form of informal supported decision-making which is adaptable and suitable for persons with psychosocial disabilities who have naturally occurring support systems. The following therapeutic community support networks have been chosen as particular ways of enabling persons to maintain their legal capacity as well as their rights to liberty, physical and mental integrity, to live and be included in the community and to freely consent to treatment. The Soteria Model was originally created in the 1970s to provide an environment and community of support for persons with a diagnosis of schizophrenia or persons experiencing psychosis.33 The model is based on a ‘recovery’34 as well as consensual approach and does not use coercive measures such as forced placement and treatment. Services are run by mostly non-medical personnel and use hardly any psychiatric drugs. The Soteria model also uses peer-support to help people to develop the skills they need to make decisions for themselves and live independently including budgeting, shopping, cooking and the importance of sharing space. Soteria services are an example of how mental health services can maintain the autonomy of persons with even the most severe psychosocial disabilities. 2For more information about guardianship laws, please see the Fundamental Rights Agency of the EU, Report: Legal capacity of persons with intellectual disabilities and mental health problems, 2013, available at: http://fra.europa.eu/en/publication/2013/legal-capacity-persons-intellectual-disabilities-and-persons-mental-health-problems. It is important to note that many States do not collect disaggregated data on the use of guardianship and trusteeship. However, for more information on those that do, please see MDAC’s Report: Legal Capacity in Europe: A Call to Action to Governments and the EU, 2013, at pg 21, available at: http://www.mdac.info/sites/mdac.info/files/legal_capacity_in_europe.pdf. 3Committee on the Rights of Persons with Disabilities, General Comment No:1: Article 12: Equal Recognition Before the Law, 2014,CRPD/C/GC/1, available at: https://daccess-ods.un.org/TMP/6057265.99693298.html. 4 For more information on the legislation in different European States, please see the column in the Annex on forced placement and treatment. 5 Committee on the Rights of Persons with Disabilities, Guidelines on Art 14 of the Convention on the Rights of Persons with Disabilities: The right to liberty and security of persons with disabilities, September 2015, available at: http://www.ohchr.org/Documents/HRBodies/CRPD/GC/GuidelinesArticle14.doc. 6 For more information on the legislative criteria for justifying forced treatment and placement, please see the Annex as well as the FRA Report: Involuntary Placement and Involuntary Treatment of Persons with Mental Health Problems, 2012, available at: http://fra.europa.eu/sites/default/files/involuntary-placement-and-involuntary-treatment-of-persons-with-mental-health-problems_en.pdf. 7Loc cit, CRPD Guidelines on Art 14, para 15. 8 MHE, Mapping Exclusion: Institutional and Community-based Services in the Mental Health Field in Europe, 2012, at pg 24, available at: https://www.mhe-sme.org/fileadmin/Position_papers/Mapping_Exclusion_-_ind.pdf. 9 The biomedical approach is defined as a conceptual model of illness that excludes psychological and social factors and includes only biologic factors in an attempt to understand a person’s medical illness. In our work, MHE promotes instead a psychosocial model of psychiatry which focuses on the individual and their circumstances rather than a disease which we believe to be less stigmatising and more in line with the UN CRPD. For more on our criticism of the purely biomedical approach, please see the work of our Beyond the Biomedical Paradigm Taskforce and our work on diagnostic manuals at the following: https://www.mhe-sme.org/policy/bbp-task-force/. 10 To read more about MHE’s views on the lack of scientific evidence for the classification of mental health ‘disorders’ contained in diagnostic manuals, please see our position papers on DSM-V, available at: https://www.mhe-sme.org/fileadmin/Position_papers/DSM_V_Position_Statement.pdf and the revision of International Classification of Disease, available at: https://www.mhe-sme.org/fileadmin/Position_papers/MHE_Position_Paper_on_ICD-10_Revision.pdf. 11 Loc cit, MHE, Mapping Exclusion. 12 Please see the Annex for more information on European mental health and public health legislation. 13 For a good example of such a service, please see the practice of MHE’s Greek Member, the Society of Social Psychiatry and Mental Health, outlined on pg 91 of the Common European Guidelines on the Transition from Institutional to Community Based Care available at the following: http://www.deinstitutionalisationguide.eu/wp-content/uploads/2016/04/GUIDELINES-Final-English.pdf. 14 To learn more about the responsibility of businesses to respect human rights, please see the UN Guiding Principles on Business and Human Rights, available at the following: http://www.ohchr.org/Documents/Publications/GuidingPrinciplesBusinessHR_EN.pdf. 15It should be noted that the Article also states that the safeguards should be proportional to the amount that they affect the person’s interests and rights. MHE notes that, for example, this might mean that depending on the decision, supported decision-making measures might not need to be regularly reviewed. 16Loc cit FRA, pg 1, available at: http://fra.europa.eu/en/publication/2015/implementing-un-crpd-overview-legal-reforms-eu-member-states. 17 For more information on the state of play of reform of legal capacity laws in Europe, please see the Annex to this position paper. 18 Loc cit, MDAC at pg 24; in this report on legal capacity MDAC found that even in countries where there were forms of plenary and partial guardianship, that plenary guardianship was used far more even though partial guardianship provides a more nuanced and individualised approach to legal capacity. 19 Loc cit, FRA, at pg 13-14. 20 Concluding Observations on the initial report of the EU,2015, CRPD/C/EU/CO/1. 21 MHE, Executive Summary: Position Paper on the mid-term review of the Disability Strategy, 2016, available at: https://www.mhe-sme.org/fileadmin/Position_papers/Disability_Strategy_March_-_Executive_Summary_call_for_action.pdf. 22 The definition of co-production used by MHE can be found in our glossary, available at: https://www.mhe-sme.org/policy/glossary/. 23 More information on the Bulgarian Centre for not-for-profit law, available at: http://www.bcnl.org/en/news/1353-bulgaria-is-about-to-make-step-forward-in-the-efforts-to-recognize-the-human-rights-of-people-with-disabilities.html. 24 MHE received the translation of the draft legislation through the International Disability Alliance. 27 The interpretation of the law and the scope of application are issues still discussed amongst professionals. Some jurists say it applies to all directives, including in relation to mental health care. 28 The advanced directive can include symptoms that the person usually notices that they experience when entering in a crisis situation, what makes the person feel good and bad when experiencing distress, who their contact person is, who he/she would allow to visit, therapies that they find helpful, information about their general health, diet etc, and they can also a specify a person who should take decisions for them, in line with their will and preferences, if their legal capacity is questioned. 29 MHE video on Personal Ombudsman, available at: http://www.right-to-decide.eu/2014/08/swedish-personal-ombudsman-service-po-for-people-with-mental-health-problems/. 30 MDAC’s report: Supported Decision-making, An Alternative to Guardianship, 2006, available at: http://mdac.info/sites/mdac.info/files/English_Supported_Decision-making_An_Alternative_to_Guardianship.pdf. 31 The Open Dialogue model is one of the most successful in the world, where over 80% of patients have returned to work. On-going research shows that 75% of persons who use this method have no remaining signs of residual psychosis. Please see MHE’s Myth Buster on forced treatment for further information, available at: https://www.mhe-sme.org/fileadmin/Position_papers/MHE_Myth_Buster_on_forced_treatment_2014_01.pdf. 32 Seikkula et al., Five-year experience of first-episode non affective psychosis in open-dialogue approach: Treatment principles, follow-up outcomes, and two case studies. Psychotherapy Research, March 2006; 16(2):214–228, available at: http://www.iarecovery.org/documents/open-dialogue-finland-outcomes.pdf. You can also watch a short video introduction to Open Dialogue, at the following link: http://www.youtube.com/watch?v=aBjIvnRFja4. 33 Calton et al, Systematic Review of the Soteria Paradigm, 2007, available at: http://schizophreniabulletin.oxfordjournals.org/content/34/1/181.full. 34 MHE defines recovery as the following in its glossary: Recovery is self-defined, but broadly means living a meaningful and satisfying life, with hope for the future. Recovery is not the eradication of the experiences or symptoms accompanying mental distress, as it would be used in the context of physical health. It can mean living with and managing these experiences, whilst having control over and input into your own life. Please see MHE’s video on recovery available at: https://www.youtube.com/watch?feature=player_embedded&v=0Y9dSgA-tiU. MDAC Press Release on Romania, July 2014, available at:http://www.mdac.info/en/news/romania-european-human-rights-commissionersays-end-discrimination-against-people-disabilities and Three Jurisdictions Report: Towards Compliance with CRPD Art.12 in Capacity/Incapacity Legislation across the UK, Essex Autonomy Project, 6 June 2016, available at: https://www.researchgate.net/publication/303988881_The_Essex_Autonomy_Project_Three_Jurisdictions_Report_Towards_Compliance_with_CRPD_Art_12_in_CapacityIncapacity_Legislation_across_the_UK.